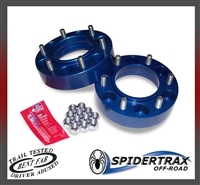 If you are looking a 4x4 and off-road parts and service specialist, you have come to the right place. Bent Fabrication has been building and servicing the off-road enthusiast not only here in Arizona but through out the United States since 2008. We don't just sell parts we also build a wide variety of off-road vehicles, including but not limited to Custom Rock Crawlers, Jeeps, Broncos, and Trucks. Let us help you build your next project.